What research has been conducted regarding smoking cessation programs/interventions geared specifically towards people with HIV/AIDS (PHAs) who smoke? Tobacco smoking is much more common among people living with HIV than in the general population (1-4). While most medical providers offer some form of smoking cessation services, AIDS service organizations (ASOs) are less likely to do so (4). The majority of people living with HIV express a desire to learn more about smoking and its impact on their HIV status and medication regimen (5). are more effective when used in combination (8). Smoking cessation may be more difficult for people living with HIV because they are often also coping with mental health and substance use issues. As a result, less intensive interventions such as giving advice may not be enough. Some may benefit from more intensive interventions such as repeated counselling, nicotine replacement and psychiatric assistance (8;9). with HIV to quit smoking and avoid relapse. One study focusing on clinicians (24) found that, when physicians treating people with HIV received a half day of standardized training on smoking cessation counselling and pharmacotherapy, the odds of their patients quitting increased and the odds of relapse over the 10-year follow-up period decreased. While some interventions appear promising, the main message is that we need to learn more about smoking cessation programs tailored specifically to people living with HIV. (25) For example, despite evidence that motivational interviewing (MI) interventions are effective for smoking cessation (36), a small one-month MI intervention with women living with HIV was ineffective (37) — although the study did find that it did decrease the number of cigarettes the women smoked per day compared to those who did not receive the intervention. (37) Given that the size of the study and limited follow-up, larger and longer studies are required to explore this type of intervention. may be generalizable to the Canadian setting, some countries have different smoking rates, HIV infection rates, smoking culture, regulations and availability of smoking cessation interventions. Therefore, some findings should be interpreted with caution. We searched Medline using a combination of search terms: Smoking Cessation (MeSH term) AND HIV (text term). We did not limit the search results by date of publication or study jurisdiction. We also searched the Cochrane Library for any potentially relevant systematic reviews using the following text terms: HIV AND (smoking OR tobacco), www.Health-Evidence.ca using the following search terms: HIV (text term) AND [Smoking cessation (category) OR tobacco use (category)], and DARE database (limited to 1996-2011) using the following search terms: HIV AND (smoking OR tobacco). Lastly, we reviewed the references in the studies found. All searches were conducted on August 1, 2012 and updated with three new journal articles (24;32;37) on December 12, 2012. An additional search was conducted on April 8, 2015, with six new articles added on May 13, 2015. American Society of Addiction Medicine. Public Policy Statement on Nicotine Dependence and Tobacco. Chevy Chase, MD: American Society of Addiction Medicine; 2010. Balfour L, MacPherson P. HIV and Cardiovascular Risk: The Ottawa HIV Quit Smoking Study. The OHTN Conference. 2010. Chander G, Stanton C, Hutton HE, Abrams DB, Pearson J, Knowlton A et al. Are smokers with HIV using information and communication technology? Implications for behavioral interventions. AIDS & Behavior 2012;16(2):383-8. Tesoriero JM, Gieryic SM, Carrascal A, Lavigne HE. Smoking among HIV positive New Yorkers: prevalence, frequency, and opportunities for cessation. AIDS & Behavior 2010;14(4):824-35. Robinson W, Moody-Thomas S, Gruber D. Patient perspectives on tobacco cessation services for persons living with HIV/AIDS. AIDS Care 2012;24(1):71-6. Fiore, M. C., Jaen, C. R., Baker, T. B., Bailey, W. C., Benowitz, N. L., and Curry, S. J. U.S. Department of Health and Human Services. Treating tobacco use and dependence 2008. Clinical Practice Guideline. Rockville, MD: U.S. Department of Health and Human Services. ; 2008. Lemmens V, Oenema A, Knut IK, Brug J. Effectiveness of smoking cessation interventions among adults: A systematic review of reviews. European Journal of Cancer Prevention 2008;17(6):535-44. Kumar SR, Swaminathan S, Flanigan T, Mayer KH, Niaura R. HIV & smoking in India. Indian Journal of Medical Research 2009;130(1):15-22. Benard A, Bonnet F, Tessier JF, Fossoux H, Dupon M, Mercie P et al. Tobacco use in HIV infection. AIDS Patient Care & Stds 2007;21(7):458-68. Fuster M, Estrada V, Fernandez-Pinilla MC, Fuentes-Ferrer ME, Tellez MJ, Vergas J et al. Smoking cessation in HIV patients: rate of success and associated factors. HIV Medicine 2009;10(10):614-9. Health Canada, Controlled Substances and Tobacco Directorate. Canadian Tobacco Use Monitoring Survey, Smoking Prevalence 1999 – 2010. 2010. Crothers K, Goulet JL, Rodriguez-Barradas MC, Gibert CL, Oursler KA, Goetz MB et al. Impact of cigarette smoking on mortality in HIV-positive and HIV-negative veterans. AIDS Education & Prevention 2009;21(Suppl3):40-53. Kohli R, Lo Y, Homel P, Flanigan TP, Gardner LI, Howard AA et al. Bacterial pneumonia, HIV therapy, and disease progression among HIV-infected women in the HIV epidemiologic research (HER) study. Clinical Infectious Diseases 2006;43(1):90-8. Lifson AR, Neuhaus J, Arribas JR, van dB-W, Labriola AM, Read TR. Smoking-related health risks among persons with HIV in the Strategies for Management of Antiretroviral Therapy clinical trial. American Journal of Public Health 2010;100(10):1896-903. Shuter J, Salmo LN, Shuter AD, Nivasch EC, Fazzari M, Moadel AB. Provider beliefs and practices relating to tobacco use in patients living with HIV/AIDS: a national survey. AIDS & Behavior 2012;16(2):288-94. Burkhalter JE, Springer CM, Chhabra R, Ostroff JS, Rapkin BD. Tobacco use and readiness to quit smoking in lowincome HIV-infected persons. Nicotine & Tobacco Research 2005;7(4):511-22. U.S.Department of Health and Human Services. Surgeon General’s Report-How Tobacco Smoke Causes Disease: The Biology and Behavioral Basis for Smoking-Attributable Disease. Washington, D.C.: U.S.Department of Health and Human Services; 2010. National Institute on Drug Abuse. Research Reports: Tobacco Addiction. Bethesda, MD: National Institutes of Health, National Institute on Drug Abuse; 2009. Wu P, Wilson K, Dimoulas P, Mills EJ. Effectiveness of smoking cessation therapies: a systematic review and metaanalysis. BMC Public Health 2006;6:300. Ferketich AK, Diaz P, Browning KK, Lu B, Koletar SL, Reynolds NR et al. Safety of varenicline among smokers enrolled in the lung HIV study. Nicotine & Tobacco Research 2013;15(1):247-54.
open-label study. AIDS Patient Care & Stds 2012;26(1):12-9. Huber M, Ledergerber B, Sauter B, Young J, Fehr J, Cusini A et al. Outcome of smoking cessation counselling of HIVpositive persons by HIV care physicians. HIV Medicine 2012;13(71):387-97. Nahvi S, Cooperman NA. Review: The need for smoking cessation among HIV-positive smokers. AIDS Education & Prevention 2009;21(Suppl 3):14-27. Crothers K, Tindle HA. Prevention of bacterial pneumonia in HIV infection: focus on smoking cessation.Expert Review of Antiinfective Therapy 2011;9(7):759-62. Drach L, Holbert T, Maher J, Fox V, Schubert S, Saddler LC. Integrating smoking cessation into HIV care. AIDS Patient Care & Stds 2010;24(3):139-40. Moadel AB, Bernstein SL, Mermelstein RJ, Arnsten JH, Dolce EH, Shuter J. A randomized controlled trial of a tailored group smoking cessation intervention for HIV-infected smokers. Journal of Acquired Immune Deficiency Syndromes: JAIDS 2012;61(2):208-15. Kwong J, Bouchard-Miller K. Smoking cessation for persons living with HIV: a review of currently available interventions. Journal of the Association of Nurses in AIDS Care 2010;21(1):3-10. Reus VI, Smith BJ. Multimodal techniques for smoking cessation: a review of their efficacy and utilisation and clinical practice guidelines. Int J Clin Pract 2008;62(11):1753-68. Vidrine DJ, Marks RM, Arduino RC, Gritz ER. Efficacy of cell phone-delivered smoking cessation counseling for persons living with HIV/AIDS: 3-month outcomes. Nicotine & Tobacco Research 2012;14(1):106-10. Gritz ER, Danysh HE, Fletcher FE, Tami-Maury I, Fingeret MC, King RM et al. Long-term outcomes of a cell phonedelivered intervention for smokers living with HIV/AIDS. Clinical Infectious Diseases 2013;57(4):608-15.
controlled trial. Journal of Acquired Immune Deficiency Syndromes: JAIDS 2014;67(1):59-66. Humfleet GL, Hall SM, Delucchi KL, Dilley JW. A randomized clinical trial of smoking cessation treatments provided in HIV clinical care settings. Nicotine & Tobacco Research 2013;15(8):1436-45. Dunn C, Deroo L, Rivara FP. The use of brief interventions adapted from motivational interviewing across behavioral domains: A systematic review. Addiction 2001;96(12):1725-42. 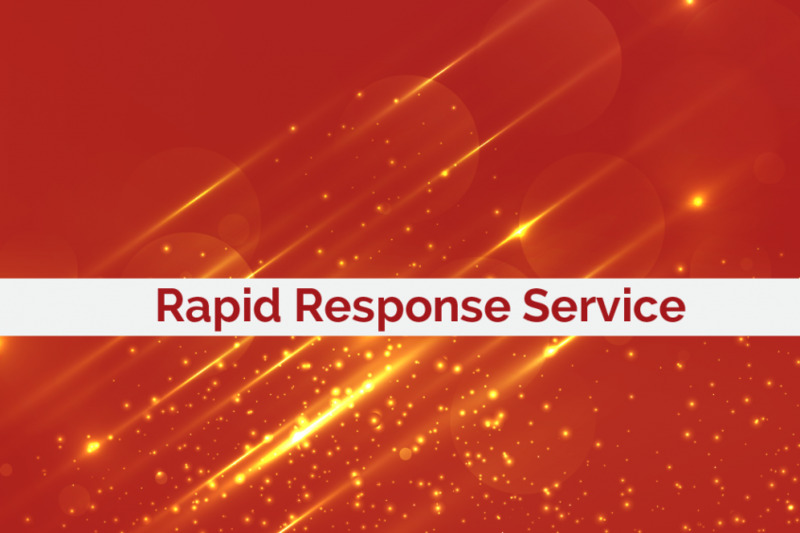 Rapid Response Service. Smoking Cessation interventions in People with HIV/AIDS. Toronto, ON: Ontario HIV Treatment Network; May, 2015. Kira Gangbar and Jason Globerman.